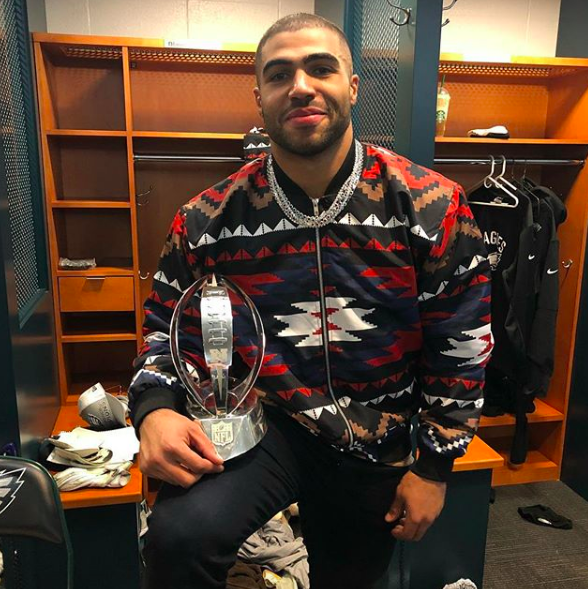 2017 Super Bowl champion Mychal Kendricks, 27, has plead guilty to insider trading charges after making $1.2 MILLION in illegal profits and now faces 25 years in prison. “I know that I made the decision to accept information, secret information, and it wasn’t the right thing to do,” the NFL player told U.S. District Judge Gene E.K. Pratter on Thursday. Mychal who used tips from his friend Damilare Sonoiki who worked Goldman Sachs will now be sentenced on December 18. Sending him nothing but luck and he better make sure he gets a light sentence like Martha Stewart did for the same crime.